Stockholders official vote to change the company name to "Midland National Life Insurance Company" in 1925. 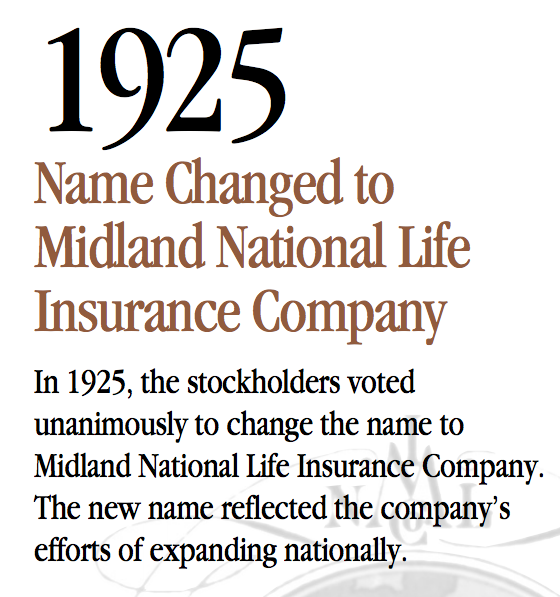 In 1925, the stockholders voted unanimously to change the name to Midland National Life Insurance Company. The new name reflected the company’s efforts of expanding nationally. For more on the history of Midland National, poke around the archives here.